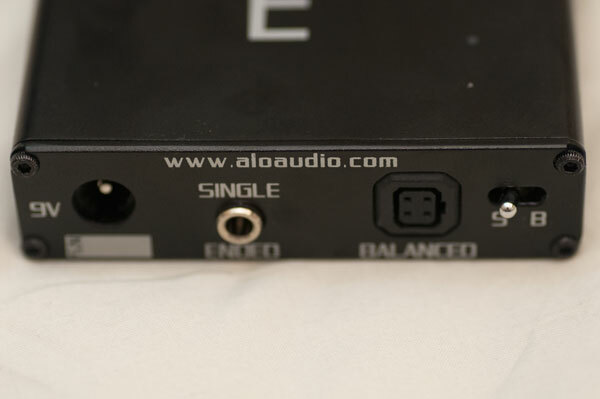 Fresh off the Continental and National Amp review along comes another highly anticipated ALO Audio amp in the shape of the RX3 which, naturally enough given the numbering, is the next step in the evolution of the RX amp series with the RX2 being the last incarnation from just over over a year ago. And this is a serious evolution also in terms of what portable amps can offer. Moving from pure single ended to RSA style connected balanced audio input and output combined with single ended I/O jacks and sporting some in your face knobs including a bass adjuster this amp is not for the lighthearted weighing in at $649 but what it does give you is one of the most powerful and rewarding portable headphone amps in the market today. I rate this baby higher than the Ibasso PB2 in terms of handling and punch and a tad more engaging than my previous amp champ ALO Audio’s The National. Is it worth the extra cash outlay? If you have a few hard to drive headphones, enjoy rich engaging non fatiguing audio playback and seem frustrated that you are tied to your desktop as a result then the answer is a resounding yes. Mind you if you are sporting a humble $50 headphone with 32ohm then your still going to love what this amp can do as a few of my learned colleagues found out with their Senn HD series but lets go for the kill and match this amp for this review with hmmm, lets see… yes an LCD-2 Rev 2, a HD800 and the mother of all black holes of power consumption, the Hifiman HE6 along with a Unique Melody Merlin for the IEM champ. That should pretty cover most angles. I figured if your going to spend $649 you are going to want to match it with decent cans that can show it off properly though only the good Lord will know what is in the minds of the 8am commuter train passengers with an LCD-2 stuck on your head and a copy of The Wall Street Journal in your hand. What is going to strike you first and foremost about the new RX3 is the power on tap. I mentioned before using some ortho and in there I stuck the HE6. Those who own the HE6 might crack a wry smile with their all-singing and dancing speaker amps or even a Schitt Lyr/EF-5 style setup and whilst I am not claiming the RX3 is the new standard in amping the HE6 period it is probably the best portable amp outside of the Ibasso PB2 for powering it and getting close to unlocking the HE6 audio secrets normally reserved for powerful desktop amps. I would even suggest that in some ways it tames some of the initial issues I had with the HE6 namely the sharp highs present particularly during long guitar solo’s. The bass reproduction on the HE6 is simply the best yet I have ever heard out a portable amp. Throwing in a balanced LCD-2 v2 with some very sweet silver cabling courtesy of ALO Audio and a Cowon X7 and some flac and blasting through some Swedish synth rock from Brother Firetribe I have to say the power is fantastic. And not just pure power also – the RX3 is really able to delivery a wonderfully layered and rich presentation right across the spectrum. Very engaging indeed. My previous power champ, the Ibasso PB2 is an excellent performer indeed and until now was my go to portable amp for driving ortho cans but the presentation can often be described as somewhat cold and digital and maybe lacking in substance compared to the RX3 which comes across as much richer and warmer without loosing out at all in the power stakes. The added advantage of changing the gain with a switch at the front also wins over the more fiddly under the hood gain jumpers in the PB2. Accessibility is important and I never got why Ibasso decided to go back to under the hood from the switch in the PB1. But that power is not without a touch of finesse and the Unique Melody Merlins with low impedance was handled with due care without any background hiss or raised noise floors that could have killed any fine listening. Don’t expect any huge control via the amp such is the power. I used the DAP as my main volume control for slight or refined volume adjustments. Everything else portable in my amp collection just pales in comparison right now so heads up guys if you want the power get the RX3 for portable use. It’s the new rock and roll right now in portable amp manufacturers with RSA, then Ibasso and now ALO audio getting in on the act. I just have one concern – can we get some sort of universal connector agreement between manufacturers? I have hirose and I have 4-pin – which is better, which is cheaper and which is more durable? Maybe there is a gap for a hirose to 4-pin converter? If there is one out please let me buy one right away because the cables are just mounting up right now and I feel I am going to need a few more if the RX3 takes center place in my collection. Thankfully the RX3 has both balanced and single ended so for those without balanced capability so you need not worry yourself if you initially have no balanced capability. Also volume wise the RX3 has good gain compensation in the single-end allowing relatively comparative volume performances from both single and balanced outputs. With the capacity for balanced input also you can connect the RX3 with a balanced portable DAC also and bingo you have a fully balanced portable system ready to do which is pretty sweet. Of course you can do that with an Ibasso DB2 and PB2 also for the price almost of one RX3 but honestly your going to find the great depth of tonality and richer fuller sound in the RX3 to be a very tempting mistress indeed when running this balanced. I am glad they moved away from the jog dial experience of the RX2 which never quite did it for me and though the resulting twin knob front is at first a bit aggressive looking it did feel a lot more natural and easier to control than the dial of the RX2. The interesting twist is the left dial which is a bass adjustment or boost of sorts. Though not overpowering it does feel assured particularly with the HE6. The extended slam and depth gave it a solid edge over the likes of the PB2 in bass reproduction and thickens out the upper bass nicely. The overall size matches the CLAS in dimensions and certainly a lot thinner than the Continental (well no tube) and the National though bear in mind the two knobs do add a bit in terms of overall length. It is not exactly pocketable but certainly very portable. The gain selector at the front is also an advantage over the Ibasso PB2 which uses gain pins configs on the internals, a step back from the PB1 and the lack of accessibility without a screwdriver on the PB2 is a bit of a pain. How nice just to be able to toggle without a moments thought. Low gain is perfect for most easy to drive cans and IEM’s, only switching to higher levels for the higher impedance flagship and ortho cans and even at that the volume dial rarely stepped over its lunchbreak at 1pm. Battery wise the hours are very respectable coming in at 10 hours for balanced and approximately 12-14 for single ended. That’s pretty respectable for that kind of power though looses out to the claimed battery life of 20 hours on the Ibasso PB2. Still an average day’s listening without the need for a recharge should be fine for all but the most travel orientated users. Big, expansive and very strong with rich presentation, excellent layering and excellent black background reproduction. This is one powerful amp with a slight emphasis on lower end over the top end resulting in a very soothing experience in the highs and much more musical feel to almost all genres I have tried. Female vocals out of my Merlin’s have never sounded better – clean and smooth and slightly forward without any sharp tinges or naughty spikes. The RX3 is a big sounding amp with plenty of impact. Whilst a lot of amps have defining qualities and standout features the RX3 for me displays a lot of strengths in many areas giving it a natural musical coherence that honestly I could listen to for days and days. The clarity is excellent and the sound stage scales extremly well with orchestral. Using the bass boost is a welcome touch for bass light cans and give it an added dimension and just a touch of control where needed. This is powerful musical headphone amp and I am totally in love with its sonic character. Is it worth $649? That depends but for me if you have it then spend it and sell the rest for now to recoup your bank balance It may not top out the dedicated power amps sitting on your desk but this is as close as it gets for an on the go portable version. It will drive your orthos, your high impedance cans and your IEM’s with equal love and care. It seems the rx3 really shines with attack and articulation. I’ve decided to add the CLAS -db to my chain. i believe the CLAS will serve my merlins well. Have you paired your Merlins>CLAS -db> other amps? We’re pico headamp tested in the above chain? Pico in my opinion is just a tad bright. I’m sensitive to trebles. I’m considering a different amp. Possibly a darker one with nice sparkles. Well it is really a matter of scale with the HD800 and what you are prepared to pay for me. 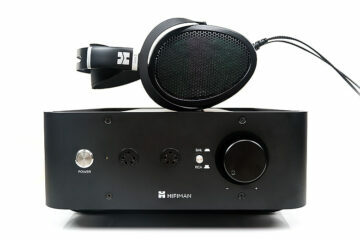 The HD800 does well with the RX MK3 but of course use a desktop with a bit more under the hood and you will get better. The MK3 can drive the HE6 so yes most certainly can drive the HD800. Good day! i love listening to guitar solos, what portable amp could you recommend? setup? thanks! You need something with plenty of attack and clarity and separation but what headphones are you going to be using? Never tried it with a HE500 – sadly don’t own one. Good day sir! i love listening to guitar solos, what amp could you recommend? setup? thanks! Thanks for the review. Mike on Headfonia wrote : “Like all the other balanced portable amps I’ve reviewed, the Mk3-B does suffer from the same shortcomings compared to the best of single ended portable amps. 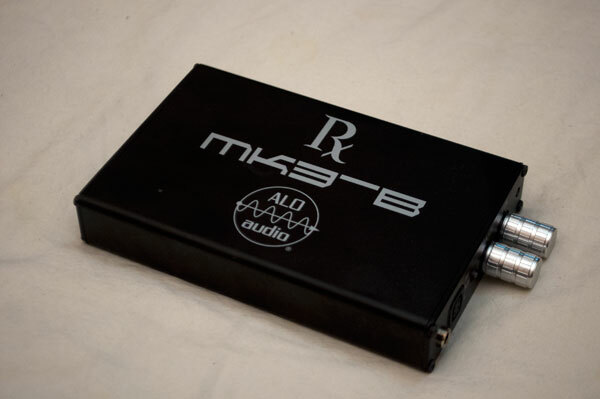 It doesn’t quite have the composure of high quality single ended amps, the mid range, the soundstage depth, image, and coherence…” How does the single ended output of RX Mk3 sounds to you compared to the balanced output ? Obviously the advantages of the balanced signal out are not there but otherwise does the quality of sound regarding the abovementioned shortcomings improve ? 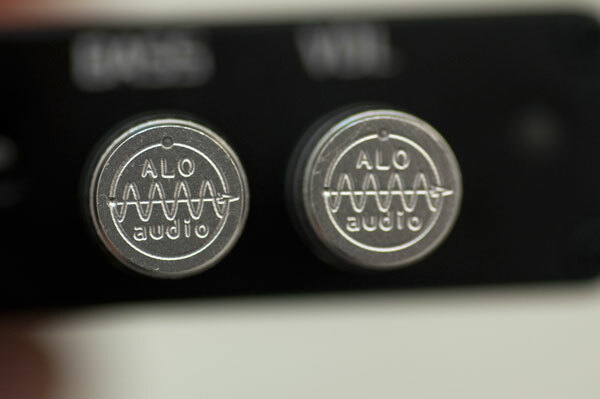 How does the single ended output of the Rx Mk3 compares to the sound of the Alo Continental ? Let me me answer the last question first since I have to do a bit of testing to answer your first question about balanced versus single-ended. The Continental is on a different planet to be honest to the Rx-3 – its a warm tubey mid-range heaven fest and is much more laid back than the strident RX3 power house solid state RX3. This will excite some and mute others and it all really depends on your gear your matching with and the music you play on a regular basis. My vote goes to the RX3 but the continental just can’t be beat for portable warmth to be honest at times. I can hear a noise floor without any source plugged in using low gain and single end, with my JH AUDIO customs, Triple.fi 10 PRO and with my Koss Porta PRO. With my DT990 PRO 250 Ohms the MK3-B is silent. I did not get the balanced cable yet to test it out with my customs. 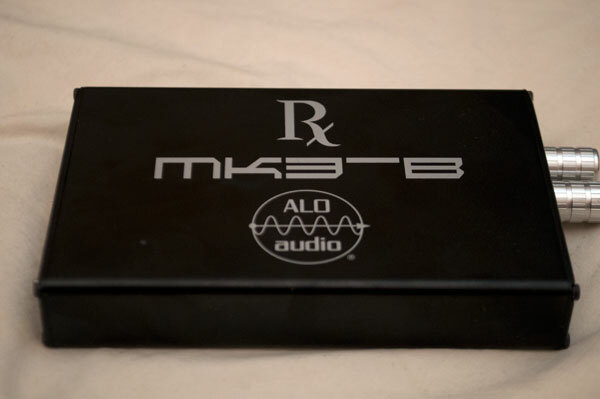 I loved the MK3-B sound and power, I just wished the black background I had with my Alo RX MK1. The Solo gives a little more power to the MK3 and a better sound overall. 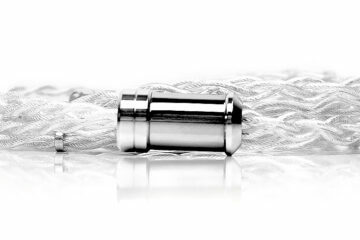 Have you tried the MK3 with a more sensitive IEM? Thank You for the review. At the moment I tried it with the Unique melody merlin customs which handled backgrounds pretty well for me on low gain but I do have plenty of other IEM’s (universal) so I will give them a spin and see where we are – mostly dual armature. regardless, would look forward to a shoot out whenever you got that out. I am personally looking into the schiit lyr or asgard, however since i haven’t got the chance to audition either of them, hence i haven’t pull the trigger yet. What do you think about the difference between the 2? Hey no worries :) I would go with the Lyr for the power honestly though check on the tonality if it suits your current set of headphones. Hey mike! good to see you giving such a nice review for this amp. Would really be interested in you putting out a shoot out using this amp on various headphone setups! Is there a possibility for this amp to be converted into a desktop setup? as in removing the battery and have it purely running on wall socket power? Hi Jason – thanks for the feedback (Mike in headfonia?) – A shoot out might be a good idea before the end of the year actually since a lot of great amps have come onto the market this year. As for a desktop solution actually given the price already it might seem easier to buy an existing desktop such as a Dacmagic Plus or a MF M1 combined with a Lyr or Asgard? Just my 2 cents.